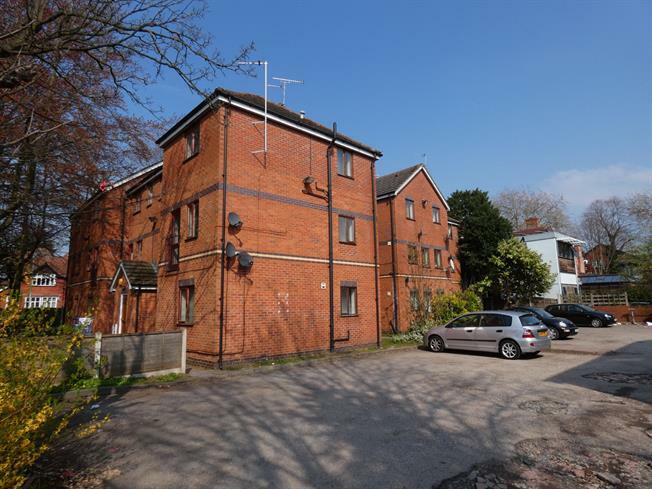 2 Bedroom Flat For Sale in Manchester for Guide Price £145,000. A modern two bedroom ground floor apartment located just off Wilbraham Road close to Chorlton and Whalley Range. An internal inspection comes highly recommended and will reveal, entrance porch, living room, modern fitted kitchen, master bedroom with fitted wardrobes, another well proportioned bedroom with fitted wardrobes, modern bathroom and ample storage space. Externally the property has communal parking and gardens. Viewing is a must. Composite front . Double glazed window. Carpeted flooring, ceiling light. Double glazed wood window. Electric heater, carpeted flooring, spotlights. Double glazed wood window. Tiled flooring, spotlights. Roll top work surface, fitted units, single sink, electric oven, electric hob, overhead extractor, washing machine. Double bedroom; double glazed wood window. Electric heater, carpeted flooring, spotlights. Single bedroom; double glazed wood window. Electric heater, carpeted flooring, spotlights. Tiled flooring, tiled walls, spotlights. Low level WC, panelled bath with mixer tap, shower over bath, pedestal sink with mixer tap, extractor fan.